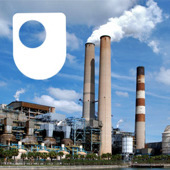 The OU is one of over 800 universities with active iTunes U sites. Go here for beginner’s French for example and here for a podcast about air pollution. This technology was developed by the company that was co-founded by Steve Jobs, Apple. He died on 5th October, aged 56. Many tributes have been paid. On 29th September in her inaugural lecture as visiting professor at The Open University Law School Cherie Booth QC described how education transformed her own life. A co-founder of her own chambers who sits as a judge she has supported the OU’s Law School since its launch (which she attended in 1997) and she praised the OU’s commitment to extending the gifts and opportunities of learning. Echoing some of the founders of the OU she suggested that ‘What makes the OU particularly special is that it is not just distinctive in this country but it has pioneered new ways of teaching across the world without compromising quality’. In her lecture she argued that law is vital in the providing equality for women throughout the world and building a better society for all. You can watch her lecture here.